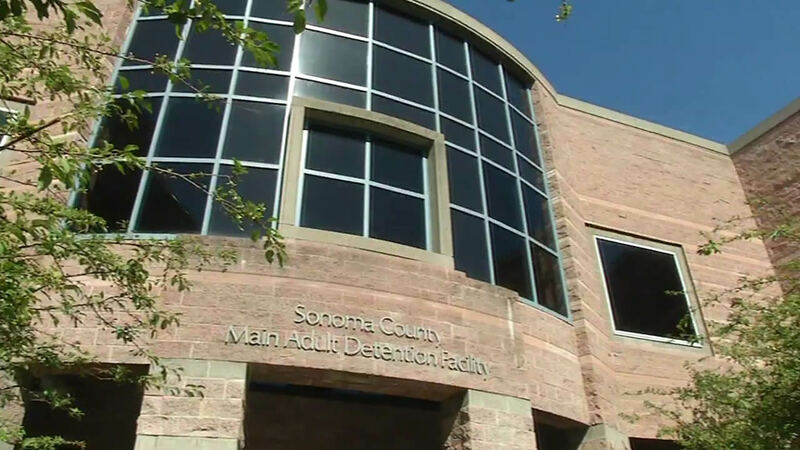 SAN FRANCISCO -- A federal complaint has been filed against the Sonoma County Sheriff's Office for the alleged beatings by correctional deputies of more than 20 Sonoma County Jail inmates over several hours in May. The 14-page complaint filed Monday in U.S. District Court in San Francisco names two plaintiffs, Marquis Martinez and Daniel Banks, out of 20 young men whom the deputies allegedly "systematically and sadistically attacked" on May 28 in the Main Adult Detention Facility in Santa Rosa, according to the complaint filed by attorneys Izaak Schwaiger, John Scott and Lizabeth de Vries. ABC7 News spoke exclusively to one of the two inmates who filed a lawsuit claiming Sonoma County correctional deputies abused and tortured them. The complaint states Martinez had a panic attack when he heard the correctional deputies beating several inmates in the module. Jail staff repeatedly beat Martinez, and Banks tried to avoid an assault by laying face down on a mattress to show submission, but he and the other inmates were attacked, the complaint states. "An uninterrupted stream of nearly identical attacks occurred up and down the housing unit over the span of over five hours under the direction and supervision of Sgt. Brian Galloway, Lt. Mazen Awad and other supervisory staff," according to the complaint. "For 5.5 hours, the jail was filled with screams, cries of pain, and the sound of inmates begging the deputies to stop," according to the complaint. Schwaiger said he received more than 20 letters from inmates following the beatings and he called the alleged beatings "gut-wrenching" and "beyond the pale." Schwaiger said jail staff videotaped a large portion of the beatings, and the videos are in the possession of Sonoma County Sheriff Steve Freitas, who also is named as a defendant. "This is like a horror movie, and we have reason to believe this was not an isolated incident," Schwaiger said in a statement. Schwaiger has scheduled a news conference on the lawsuit for 11 a.m. Tuesday at his law office in Santa Rosa. Freitas did not return a call for comment on the suit late Monday morning. Sheriff's spokeswoman Sgt. Cecile Focha said she was unaware of the alleged beatings and the lawsuit.